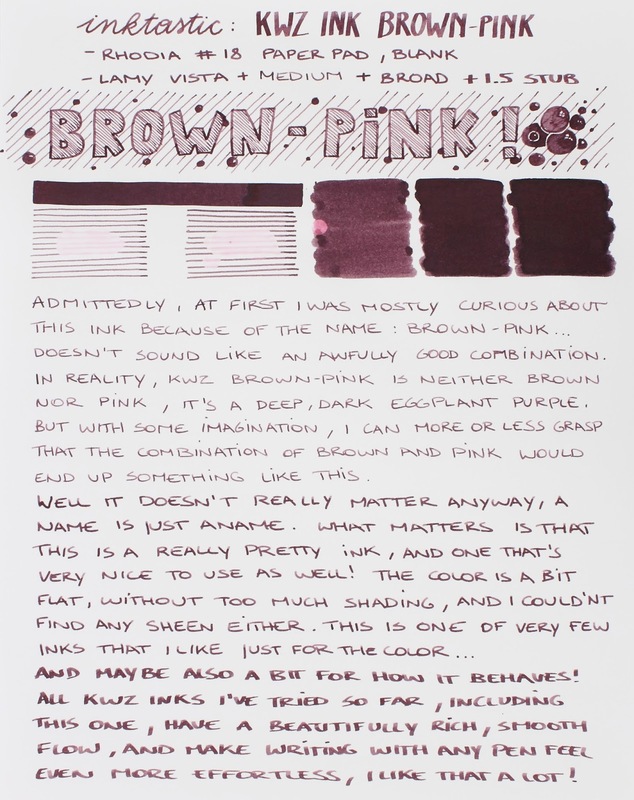 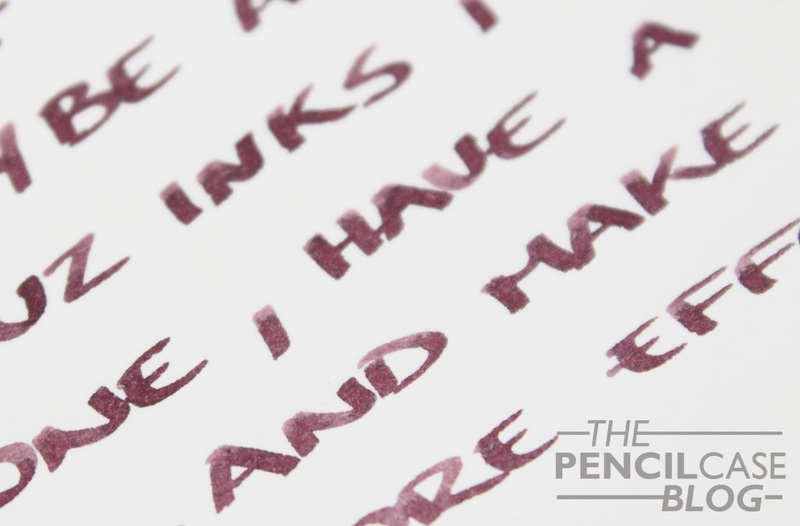 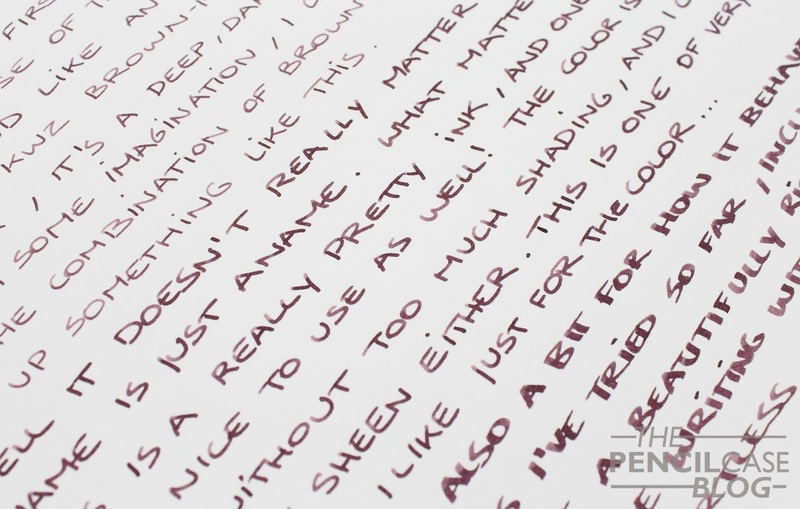 Admittedly, at first I was mostly curious about this ink because of the name: Brown-Pink... 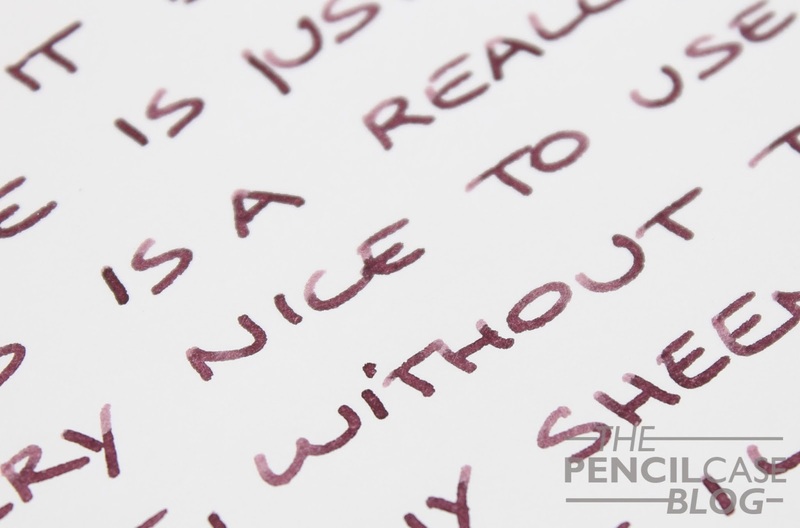 Doesn't sound like an awfully good combination, does it? 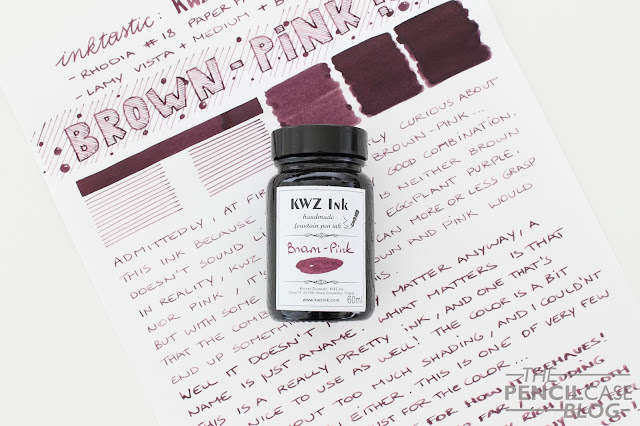 But in reality, KWZ Brown-Pink is neither brown nor pink, it's a deep, dark eggplant purple. 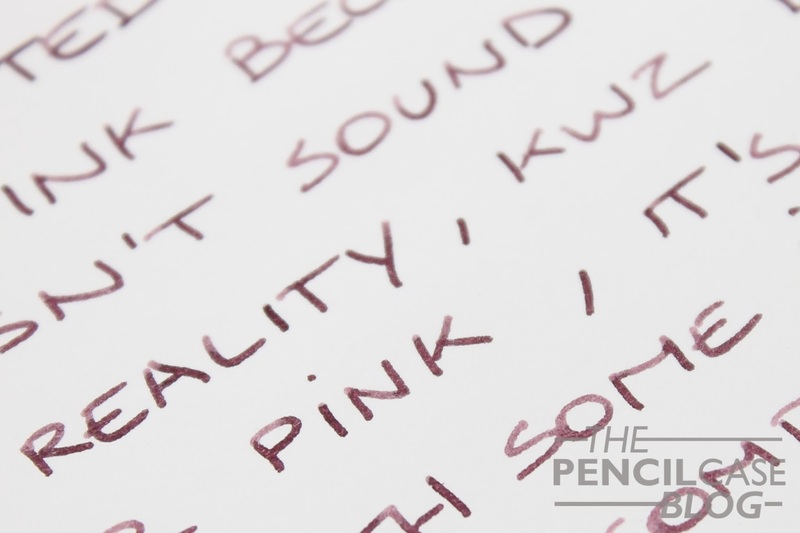 Maybe with some imagination I can more or less grasp that the combination of brown and pink would end up looking something like this. And maybe also a bit for how it behaves. All KWZ inks I've tried so far, including this one, have a beautiful rich, smooth flow, and make writing with pretty much any pen feel even more effortless, which is something I can really appreciate in an ink. 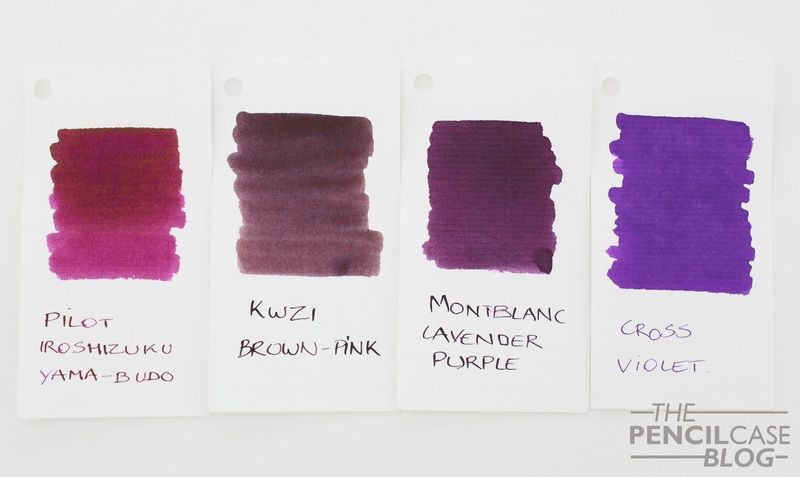 KWZ inks are fairly affordable, so combined with the interesting colors they produce, that's a recipe for success! 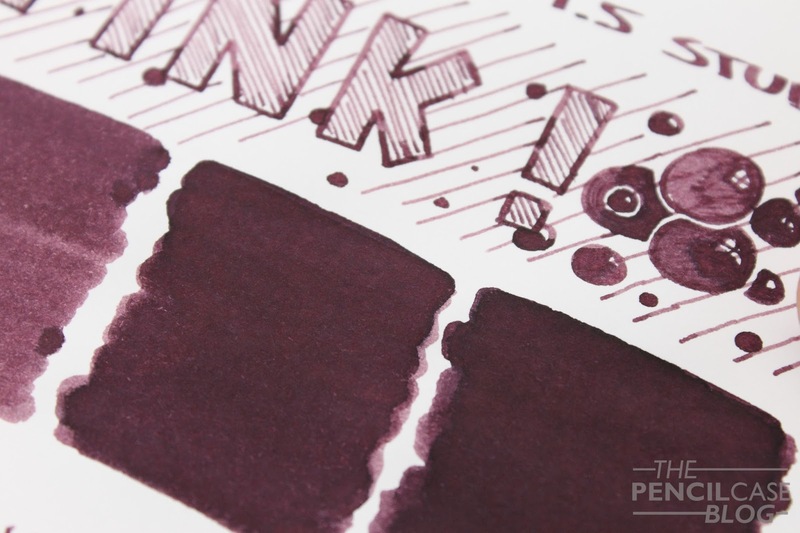 Bottles of their regular ink (excluding the Iron-gall inks) retail for 10 EUR (13 USD) for 60ml of ink, which is a competitive price point.